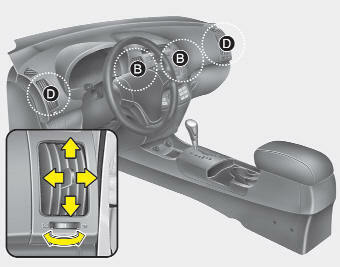 If air flow control is not satisfactory, check the instrument panel vents. The outlet port can be opened or closed separately using the horizontal thumbwheel. To close the vent, rotate it left to the maximum position. 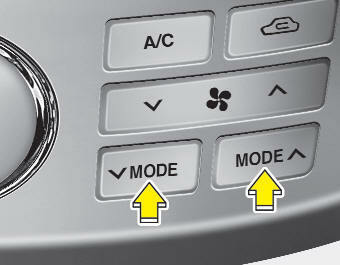 To open the vent, rotate it right to the desired position. 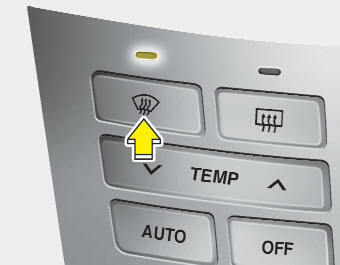 Also, you can adjust the direction of air delivery from these vents using the vent control lever as shown.